CAA is pleased to announce Hong Mei Pang as our new Director of Advocacy. Hong Mei will work closely with the Co-Executive Directors and other senior staff to advance CAA’s ambitious policy advocacy and community education goals. Previous to this role at CAA, Hong Mei has been leading CAA’s local immigrant rights advocacy work, including providing legislative, budget, and administrative relief to fortify legal and social safety nets in San Francisco for undocumented immigrants in times of heightened immigration enforcement.Hong Mei has also been leading efforts to expand language access for limited-English speaking Chinese immigrants. Hong Mei has played a significant role in engaging the ethnic, mainstream, and new media on policy issues to provide timely and accurate immigration information to the public, and to counter narratives that are often discriminatory, divisive, and baseless. Hong Mei brings with her an extensive background in community-driven policy advocacy. Prior to joining CAA, Hong Mei helped co-found RAISE, an undocumented AAPI youth group affiliated with Asian American Legal Defense and Education Fund, which amplified AAPI narratives through advocacy in Washington, D.C. She has also worked on promoting comprehensive immigration reform and communicating the needs of directly-impacted immigrant families. 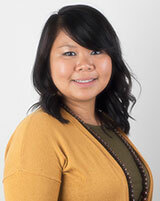 Hong Mei has also worked with the AAPI immigrant community as a program coordinator for ASPIRE, the nation’s first organizing group for undocumented AAPI youth. In this role, she led multiple campaigns at the intersection of immigration relief and criminal justice reform. Hong Mei immigrated to the United States from Singapore. She graduated from The New School in New York City, where she cultivated her passion for social justice and public policy.